The Global Scholars Program in Italy offers cadets enrolled in nearly every academic major at The Citadel to spend a semester abroad, taking courses relevant to their majors, while paying nearly the same amount for all study-abroad costs as they would pay for a semester of study at The Citadel. The program is the product of a campus-wide effort among academic schools and administrative departments, and over 30 cadets will travel to the Meditarranean island-nation for a rigorous semester of academic courses, cultural excurions, and unforgettable immersion in a foreign country. In order to fulfill its objective of making study abroad feasible for all students, the total costs of the Global Scholars Program in Italy are the same as a semester of tuition and fees at The Citadel + a $500.00 program fee. 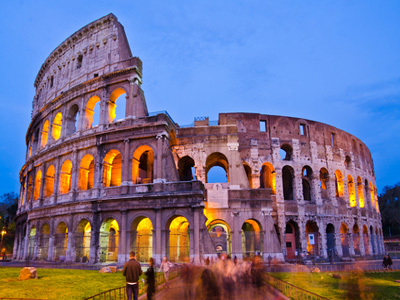 Global Scholars may enroll in more than 18 credit-hours or participate in additional excurions or activities not included in the Italy program at additional cost. Exact departure and return dates will be determined closer to the application deadline of April 1st. However, students can expect the program to begin during the third week in September and end during the third week in December.